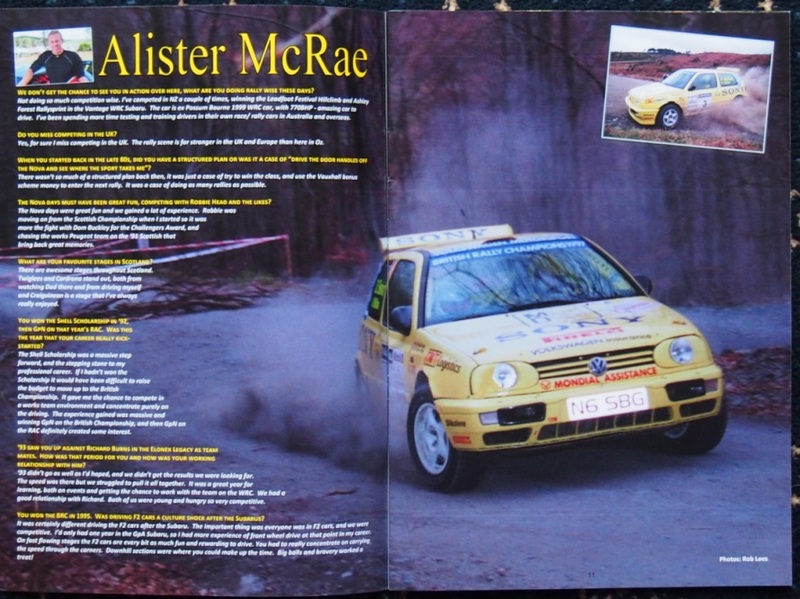 Ever since 'Rally Sport Magazine' closed its doors 20 years ago folk have been looking for something to fill the gap, well look no more. 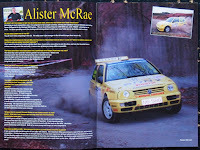 After 16 issues of his bi-monthly 'Scottish Rally Scene' mag covering all things rallying and Scottish, Bob Irvine has taken an ambitious step as the new year dawns. Instead of a 'national rally' mag, Bob has gone 'international' and from now on the magazine will cover rallying right across the four home countries of the UK plus Ireland, and there might also be a wee bit of really 'foreign' stuff from the world series in there too. 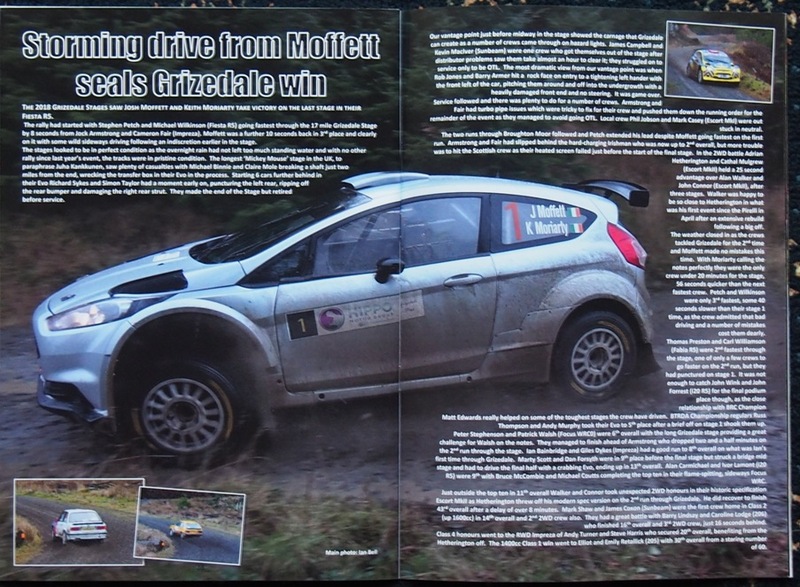 The first issue of this new look mag is out now and contains features on Alister McRae and Frank Kelly, reports from the recent Knockhill Stages, Grizedale, The Turkey Run and the Christmas Stages, plus opinionated and passionate columns from the great, the not so great and the ungodly. 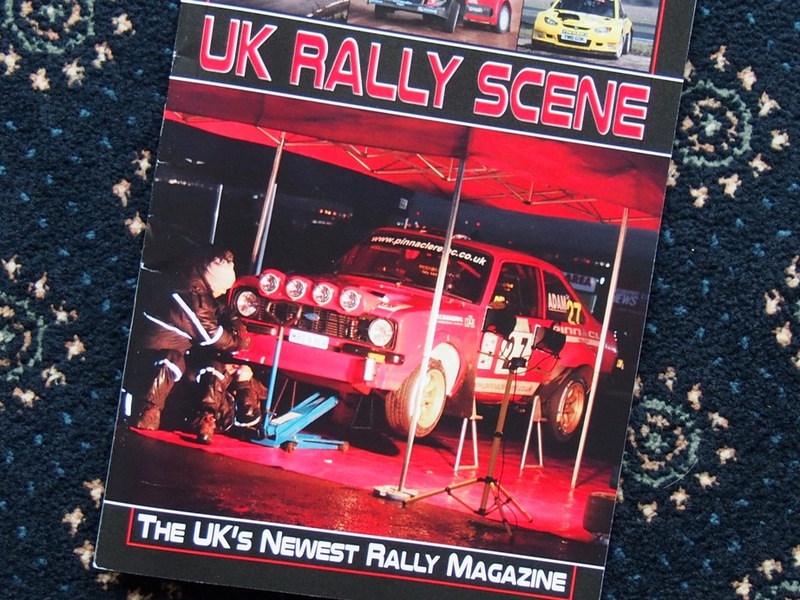 Issue 1 of UK Rally Scene is out now and it's still only 5 quid. 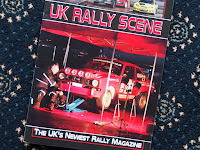 The best and most reliable way of getting the mag is through the UK Rally Scene EBay on-line store although Bob can usually be found at most events walking around gathering stories and selling copies. This represents a bold move for the mag, but Bob has been encouraged by the response he has received far and wide for his SRS publication, although selling to furriners represents a really big and bold step. Gaun yersel, Bob.